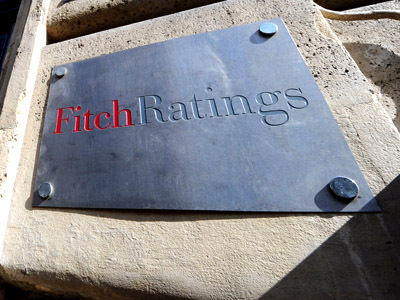 The US-based Fitch rating agency could downgrade the AAA US sovereign credit rating, if the country doesn’t review its tax and spending issues by 2013. Washington needs to make a plan to address its fiscal and spending issues in a "sensible way," and not with a "slash and burn" approach, David Riley, managing director of Fitch, told Bloomberg TV. 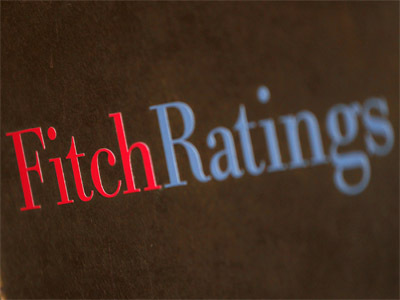 “If they can’t really put that together in the first half of 2013, there is a significant threat to the loss of the triple-A rating from Fitch,” he stressed. The so-called "fiscal cliff" that the US faces at the end of the year is a real concern for investors, he said. The “fiscal cliff” refers to a significant reduction in the budget deficit and corresponding slowdown of the economy, as significant tax increases come into effect at the beginning of 2013 due to the expiry of a number of laws. But if the US lawmakers cancel some or all of the scheduled tax increases and spending cuts, it would add to the deficit and boost the debt burden. Meanwhile, Fitch has also downgraded seven Italian mid-sized banks. The affected banks include Banca Popolare di Sondrio and Banco di Desio e della Brianza, Banca Popolare di Milano. The agency has also downgraded the Banca Carige, Banca Popolare di Vicenza, Credito Valtellinese and Veneto Banca. The outlook for of all banks is negative. The move “reflects the pressure arising from the current challenges in the operating environment, where access to wholesale funding has become more difficult and pressure on profitability remains high”. 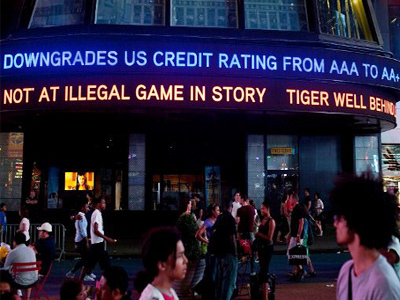 US credit rating: AAA - how long will it stay?